"This is one of the newer creations here at Punksynth land. 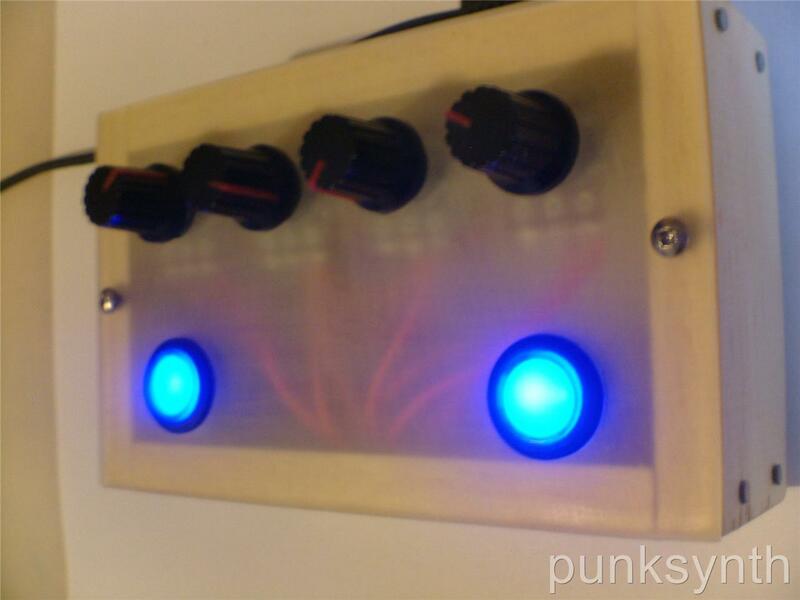 It is a dual oscillator synth with a squaretooth LFO. The goal was to create something with a small form factor so that it could be affordable to everyone. I have built hundreds of synths and sold them all over the world. You can be confident that it will be a well built little synth. This would be a great purchase for anyone curious about getting into synths or synth building. Take it apart figure it out, that would be encouraged. The output jack is a 1/4 inch one and there is a DC jack to power it. This synth would fit in with a chiptunes repetiore quite well. It would also go quite well with any circuit bent item. My name is Jeff and I run my own company called "Punksynth" I have been building synths and circuit bending for years now. I have built and sold hundreds of items that have shipped all around the world. This is my full time occupation. You can be assured that I have the time to spend all my attention on each build. I take pride in knowing my customers are getting a quality product that usually can't be found elsewhere. Most of the circuit designs are my own or my interpretations of others."